Windows driver for the SP-300 or SP-300v. Only works with these models as they are the only USB style machines. This zip file contains firmware for the SP series VersaCamm printer cutters. Package contains firmware file, installer application and instructions on installation. User Manual for the SP-540V. SP-300S Manual del Usuario. SP-300S User's Manual, Espanol. SP-300V Manual del Usuario. SP-300V User's Manual, Espanol. This zip file contains all of the Roland DGA media profiles for the SP-540 and SP-300 series printers along with installation instructions. File set up for printing and contour cutting for the SP-300v. Can be used with any print and cut device but the artwork reads SP-300V. 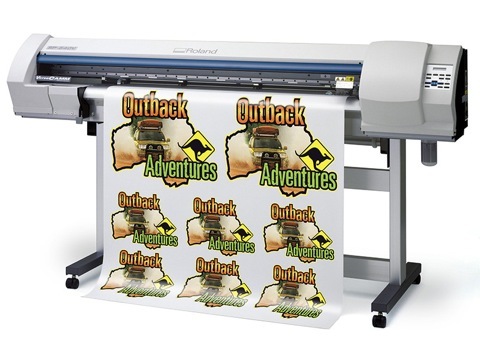 Great file for demonstrating print and cut workflow as well as print/laminate/cut workflow. Details how to get the USB connectivity established between the CPU and the printer. Setup Guide for SP-540V VersaCAMM printer. This document describes the steps to install and use the VersaCAMM SP-300/V on computers running Windows 7/Vista.